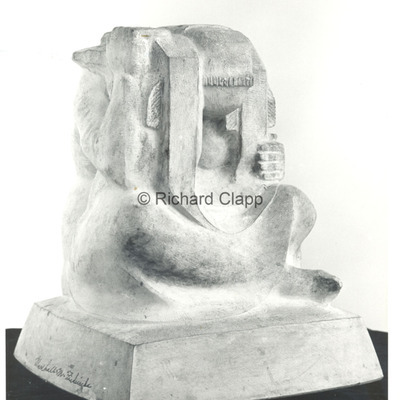 Damaged base on plaster model for "The Boy and Bear". 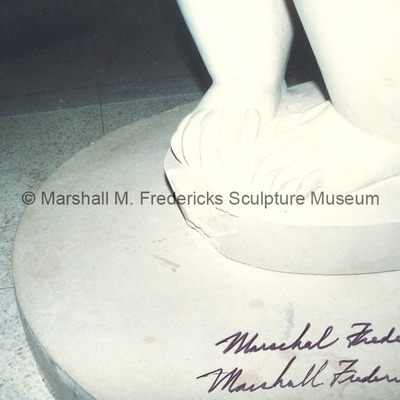 Fredericks' has signed his name on the photograph as well as the name "Marshall Frederiksen". 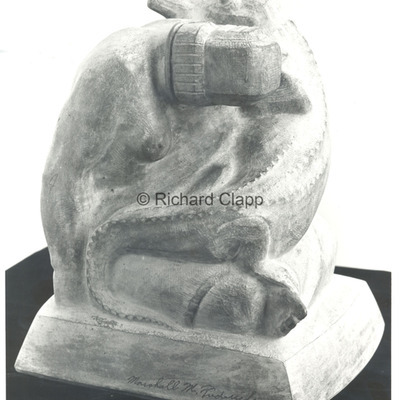 Bronze "Reptile" - one of the four sculptures in "Animal Kingdoms" signed by Marshall M. Fredericks. Bronze "Fish" - one of the four sculptures in "Animal Kingdoms" signed by Marshall M. Fredericks. 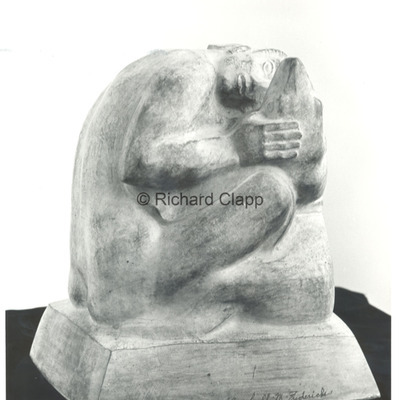 Bronze "Bird" - one of the four sculptures in "Animal Kingdoms" with Marshall M. Fredericks' signature. 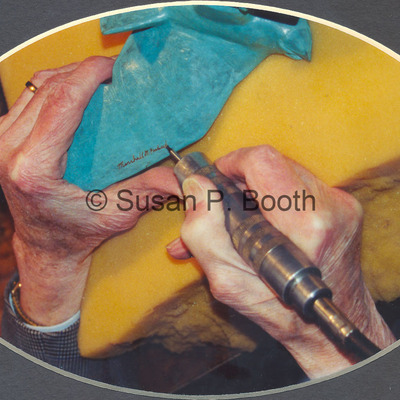 Marshall M. Fredericks engraving a small-scale "American Eagle (Ann Arbor War Memorial Eagle)" with his signature. 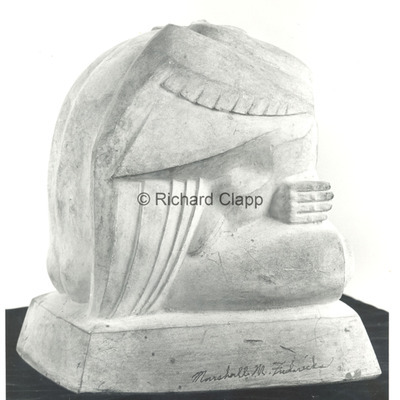 Close-up view of Marshall M. Fredericks engraving a small-scale version of the Eagle sculpture with his signature.